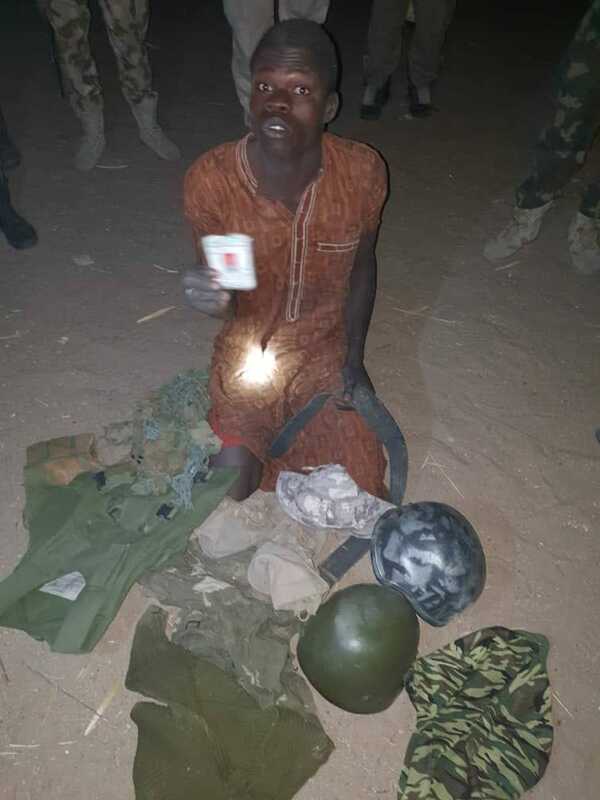 Troops of the Nigerian Army, in conjunction with Mobile Policemen and CJTF on Thursday in Borno state, have arrested a wanted Boko Haram terrorist. The insurgent, identified as Babagana Abubakar (aka Alagarno), was discovered in his hiding place at Bulabulim Ngarnam community. According to a statement on Thursday night by Brig. Gen Sani Usman, made available to Naija News, Abubakar has since been moved out of the area for further interrogation.